On online first-birthday party day, the host informs the date and time for the party through a blog post or a message. The party goes usually for 24 hours or few days. Then what the guests do or how do they enjoy the online party? It is very simple. The guests visit the blog and then they will watch a video or photos of baby’s growing diary for last one year. And usually there is a special event for the guests such as a quiz or leaving message for a baby on the blog. Once they write answers for the quiz or left birthday messages for the baby on the blog, the host (parents) pick some guests randomly to give lucky gifts. (Lucky gifts for the online first-birthday party are various such as a mobile voucher (Starbucks drink voucher), baby goods, cosmetics, movie tickets and etc.) 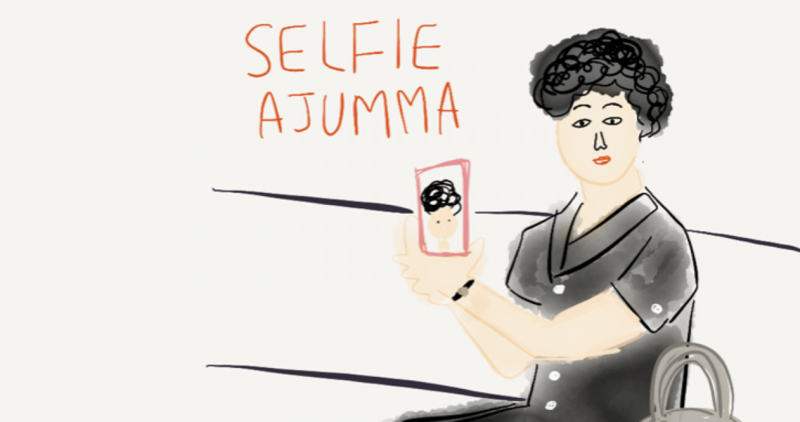 The guests for this online first-birthday party are mostly ‘mums’ or ‘ajummas’ today, so the lucky gifts are prepared for especially for mums. Here is a beautiful example of online first-birthday party (online Dol Jan-chi) on Naver blog, <jjorang’s>. On her blog, you will see what the online first-birthday party is. Online first-birthday party (online Dol Jan-chi) will be proliferating continuously with the use of digital mobile technology is pervasive in our everyday lives, especially mums and ajummas in Korea. I think this (online first-birthday party [online Dol Jan-chi] could be explained as the digital remediation. However, it should be developed continuously. In other words,this kind of Korean traditional culture should be recreated and developed more to establish the unique Korean culture in online space rather than repeating the same thing (e.g.birthday party/online birthday party) by only changing the spaces (online or offline). Then we will have distinct traditional Korean culture that exist in online and offline (or in between online and offline). These two culture that are in different spaces develop their characters differently (because of the difference of spaces) but still, they were derived from the same root.